"I recently came across the work of Marcel Thalmann, a Swiss gunsmith, who has been crafting pistols from worn out K31 rifles. As many readers will know the K31 has a reputation for being a beautifully made service rifle used in Swiss service for over 40 years. The K31 is was a refined version of the earlier Schmidt-Rubin Models 1889 and 1911. 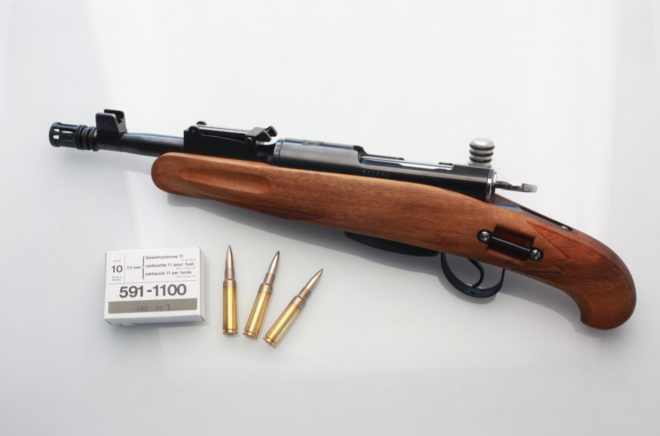 The straight pull rifles are also renowned for their excellent accuracy so when I saw what is essentially an Obrez K31 I was taken by surprise…."